At this time of the year, Grey Squirrels are very busy burying seeds for the long winter. Crows also cache food, and there is an interesting dynamics between both species. 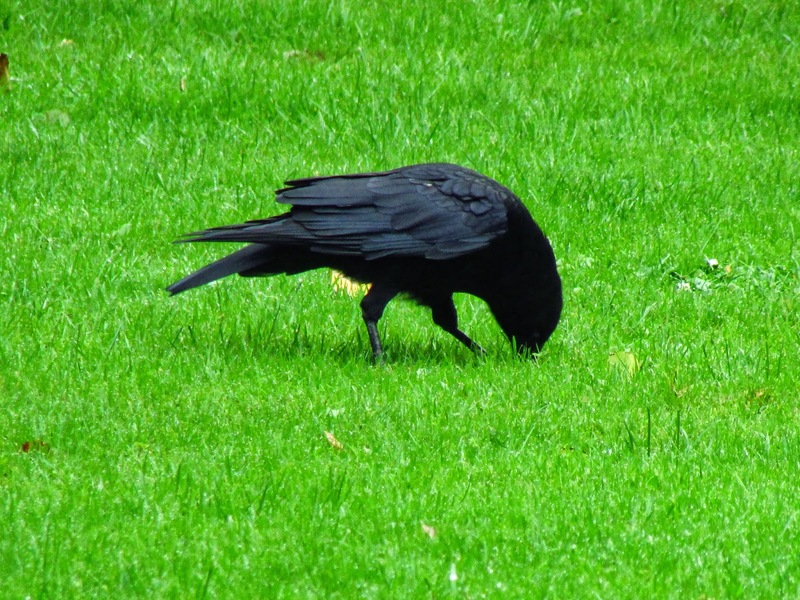 Crows are known for eavesdropping on each other, and they avoid caching food if they see other crows around that might steal their food if they know where is stored. 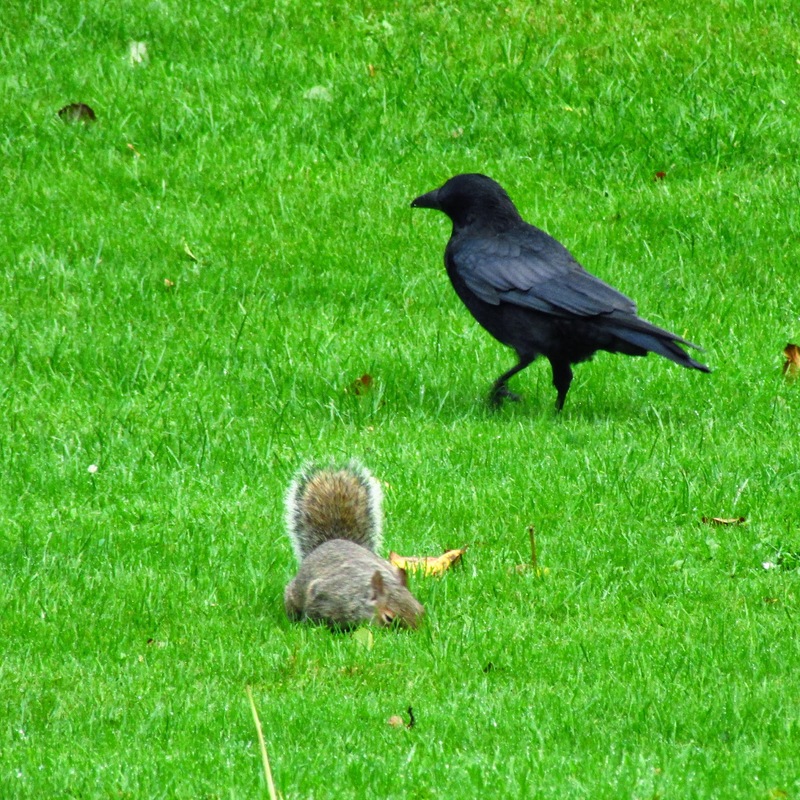 But Carrion Crows are good at stealing squirrel food as well. They walk nonchalantly nearby, while the squirrel buries some food, and later they retrieve it and either they eat it or store it somewhere else. Well, the squirrel seems to realise it is just not working for her, and I have often watched how the squirrel goes nuts and starts chasing the crows all over the place (top shot). Crow having a good look at where the squirrel is hiding its food. 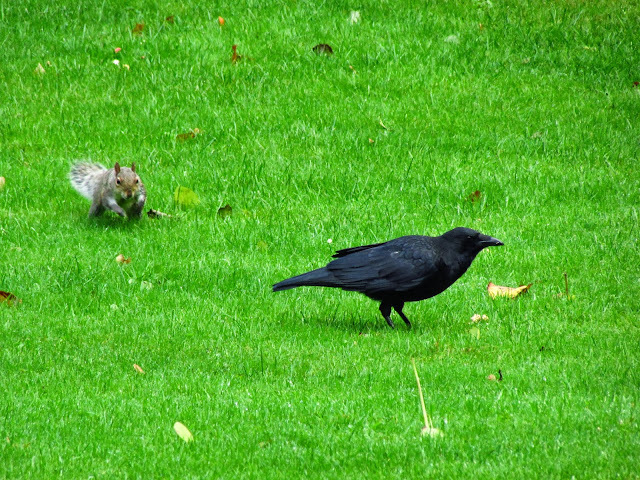 These photos are today's, but I managed to get a video of a squirrel chasing the crows last winter.